This beauty bag makes the perfect travel companion when you are on a business trip or a well deserved holiday! The big sister of the smaller cosmetic bag fits all your beauty essentials like makeup and hair products as well as a toothbrush and much more. 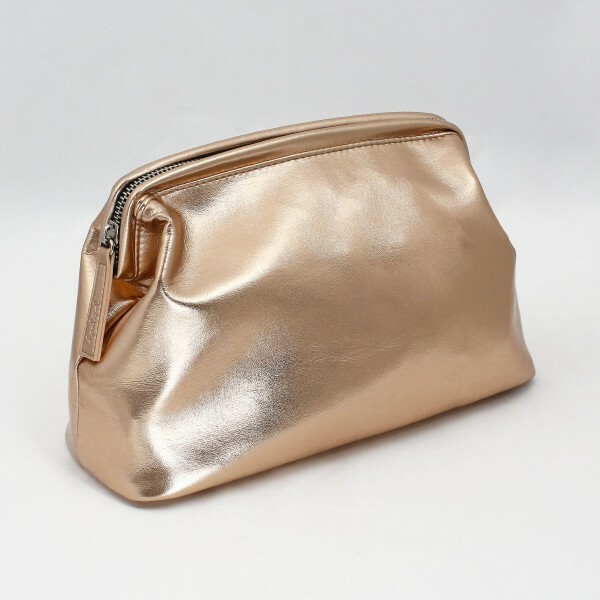 In this beauty bag, we've combined simplicity and style through a shiny rose gold design – the perfect match!